Cass Marie is definitely an artist! I hired her to do my makeup as well as my mother's and 2 bridesmaids. When I initially emailed her to see if she was available, she replied back right away. I was able to fill out the paperwork electronically which was nice and made it easier for me. I did a consultation with her a week before my wedding and she made me feel very comfortable. I don't normally wear a lot of makeup and Cass was great in explaining what she was doing. I elected to do the airbrush makeup and I think it turned out beautifully. Cass really listened to what kind of makeup look I wanted and I think it turned out perfect! She also made sure that we had a schedule for getting ready the day of, which made things a lot less stressful for me. On the day of my wedding, Cass and her assistant came to the hotel that we were getting ready at and set up their station. She had already spoken to my mom and bridesmaids beforehand about their looks and she did a great job on their makeup. She paid special attention to me (since I was the bride :-)) and made sure that everyone was happy with how the makeup turned out. I highly recommend her and I am so glad that she was there on my special day! Cass and her entire team were incredible to work with! I highly recommend her! Would highly recommend Cass to anyone looking for a professional makeup artist-she is incredible at what she does! Cass was so amazing and professional. Her set up was clean and fresh and her personality makes everyone feel at ease. Thank you so much! Can't wait to work with you again! She did my makeup for my crown shots and my mom and I loved it! She made sure to ask plenty of questions to make sure she got the look I was going for, and if there was something I did not like she was more than willing to change it...as long as I was happy! My makeup looked great in my pictures! LOVE LOVE LOVE! Cass has done my make up for my senior pictures AND prom and I just scheduled for my graduation as well. She will do her best to give you exactly what you show her and is the sweetest lady in the world! I am super picky about my make up and she was able to do exactly what I asked and made me look great!! I love her!!! My bridesmaids and I looked phenomenal! Cass is truly talented with makeup and she has an amazing hair team as well! I could not have been happier to have Cass be a part of my big day! Cass has done my makeup for my senior portraits and for a spokesmodel shoot I did. Not only is she great at what she does, she makes you feel so special for your portraits! She's such an amazing makeup artist and we will definitely be using her again! My makeup and hair were on point! Cass showed great professionalism and creativity when it came to deciding my vision. She was fast, efficient, and super fun to work with! Not only did I look amazing because of her and her beautiful work, I felt more confident 😊I am so happy my best fiend decided to work with Cass for her wedding and bridal portraits. I will be contacting Cass when I have a special event coming up! Fantastic job, I couldn't be happier with he end results! Cass and her team did my hair/makeup for my bridals and wedding. They did AWESOME!! Cass did an amazing job with my makeup and my hair was exactly what I pictured. I felt beautiful and my bridesmaids looked gorgeous! We were all extremely happy with how everything turned out. I got married outside, in early July. It was actually a very nice day, but it was still hot out. Our hair and makeup looked flawless all night. I will definitely recommend Cass and her team to anyone that needs hair/makeup done. I will be sure to call her again in the future. Amazing makeup and hair, I loved your work and thank you so much y'all are awesome!! Cass came highly recommended from a good friend of mine. She and her team did my makeup for my son's wedding. They took their time with my makeup and hair and were very picky about both until they were got the result they were looking for, which I appreciated. On a very special occasion such as this, you want the people doing your hair and makeup to be picky! I loved the way my make-up and hair turned out and went to the wedding with confidence! It was fun to wear my hair different from the way I wear it on a daily basis. Glam by Cass Marie also took into account the dress that I was wearing with makeup and hair style choices! Thank you Glam by Cass Marie. Loved my experience with Cass! She did my makeup for my family pics and the colors were exactly what I wanted. It also lasted and looked fresh for several hours. I seriously didn't want to take my makeup off that night! She's also a lot of fun and so sweet! I highly recommend Cass!! Hi Cass! I just wanted to thank you and your team, I’m so grateful for your all your talents. Never has my hair or makeup looked or stayed so perfectly for so long. I received so many compliments on my hair and makeup all day and night at my sons wedding. Your gifts gave me confidence and I felt beautiful all night. Thank you Glam by Cass Marie. I’m telling all my friends about your services. 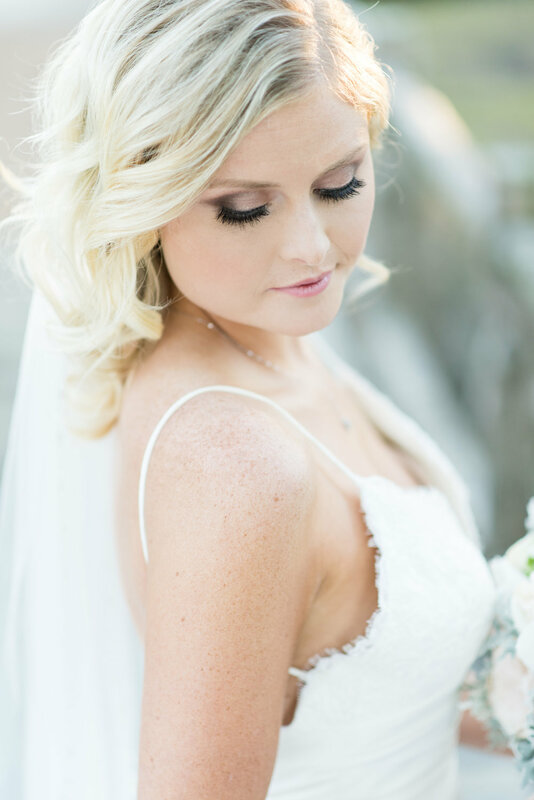 Cass and her team provided hair and makeup for my wedding day for myself and bridal party. I hired her based on a referral, and am SO glad I did! She scheduled a phone interview with all three of us well in advance to find out what our style is, and what we would like to have done. A couple of days before the wedding, she sent me detailed information on what I should do with my hair and face wash routine on the day before/day of. They arrived on time the day of the wedding and did such a great job on everyone's hair and makeup, plus Cass was so nice and easy to talk to! It was exactly what we all wanted and envisioned. I highly recommend Glam by Cass Marie! Cass and her team are beyond amazing and so very sweet! She is such a talented makeup artist! She worked so well with me and my bridesmaids from day one until the wedding day making sure our visions for hair and makeup were perfect! I would recommend her to every bride!!! 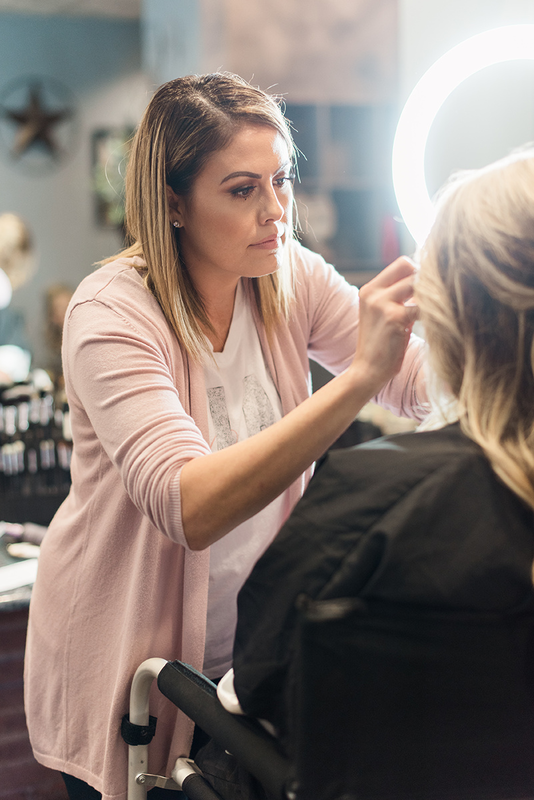 Cass and her team provided hair and makeup services to me and my bridal party on my wedding day. Everyone looked great. 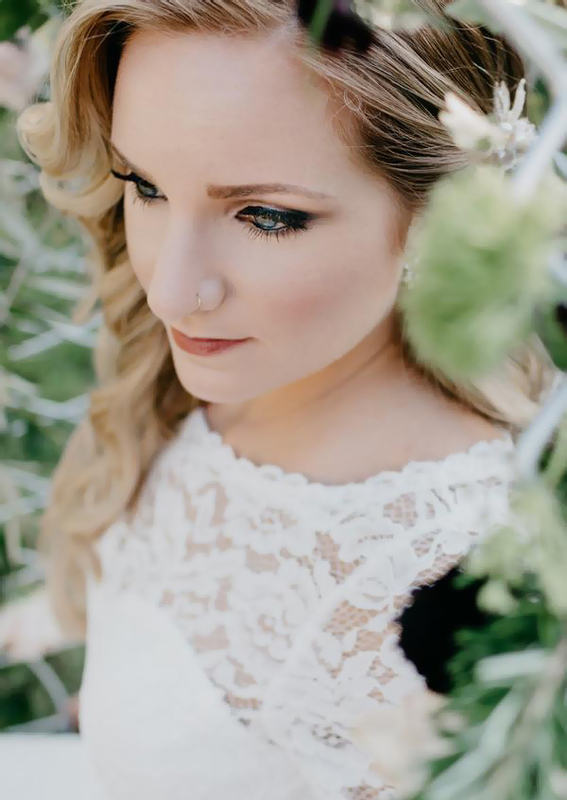 As an older bride I had some concerns about skin issues and Cass made my skin look flawless. I was very happy with the result. Makeup stayed great even through the tears that started as soon as I started down the aisle. Cass was very professional, but also fun to talk too. The whole day was perfect starting with hair and makeup. For someone like myself with darker skin, Cass Marie was able to evenly match my skin tone. She worked wonders on my eyes. Also she was able to accentuate my other features as well. I was extremely pleased that my makeup stayed fresh and lasted all day. I would definitely recommend Cass Marie for your next special event! Cass Marie is extremely professional, nice, and caring. It's all about the client. She offers great advice that is always on point when it comes to makeup, hairstyles, and fashion. She is fashion forward and stays steps ahead of everyone. I will always go back to her and would recommend her to everyone! Cass Marie did my makeup for a photo shoot. She did an absolute amazing job on both me and my mom, she even helped us with picking out accessories. She was so fun to work with and I definitely recommend her for anyone going to a special event or photos! Cass Marie, you do amazing work. They are all pretty girls and your talent enhanced each ones beauty. They all looked beautiful and I have to say, Andrea was a gorgeous bride. Thank you for everything. You're awesome!! I've had the privilege of Cass Marie doing my makeup twice now. She is naturally gifted with making you look and feel so fabulous. I was in awe at how she brought out my features and made my eyes stand out. My skin glowed and looked flawless. I cannot say enough good things about this amazing woman! I was lucky enough to have Cass Marie do my makeup for my senior prom and she did an absolutely amazing job! Even though we were on a bit of a time crunch, my makeup looked absolutely flawless. I felt confident all night. I will definitely go to Cass Marie for any special occasion in the future! Cass Marie does great work. She has done my makeup and she treats you like an old time friend from the very beginning. Everyone complimented me on my makeup that day. I had my bridal consultation with Cass Marie last night and it was absolutely phenomenal! Cassandra is extremely gifted and has a true passion for what she does. After spending the evening getting to know her, I cannot imagine anyone else doing my makeup on my special day! Our daughter required 2 sets of pictures for a recent model portfolio photo shoot. One shoot leveraged her natural beauty and the other was more sophisticated. The entire process was over roughly a 3 hour period. Cass Marie provided a fantastic look for each under what we can only describe as tight timelines. What was even more pleasing was her ability to put our daughter at ease while explaining the entire process of makeup application. We highly recommend Glam by Cass Marie. Cass Marie is absolutely amazing! For my bridal shoot she did a beautiful natural makeup look on me for the first look, than transformed it to an awesome evening makeup look for the second. I was so in love, I didn't want to take my makeup off! Glam by Cass Marie has done my hair and makeup two times, one for a Model Shoot and the other was for my junior prom. The pictures that were taken of me at prom looked great and I have to thank Cass Marie and her team for that. I loved the way they did my hair and makeup. I felt comfortable with her and her team doing my hair and makeup. I felt like a model both times. I can say that I have a makeup artist now and won't think twice of who is going to do my hair and makeup ever again. Cass Marie is amazing with a makeup brush! I have lots of freckles and redness, but her application and attention to my skin made me look flawless! She is patient and caring. Cass cares about her clients and knows what looks good on them. She takes pride in her work and aims to please and makes me feel comfortable during the process.